Music enthusiasts can now play a part in the iconic jam session of 1956. 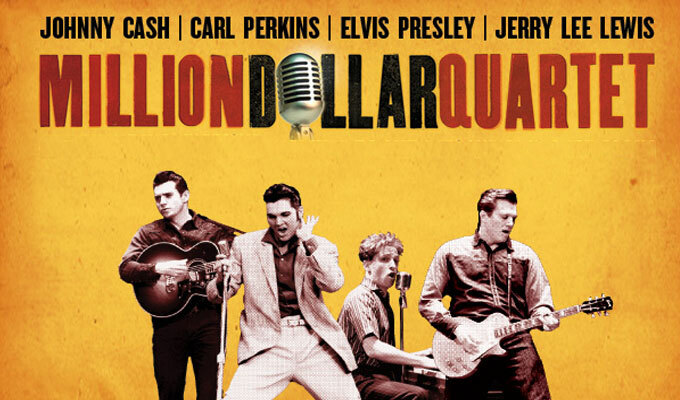 CMT’s Million Dollar Quartet is coming up as a miniseries and the casting calls are out for it. Go ahead and read on to see if you can become a part of it. Million Dollar Quartet is the name that was given to the recordings session of 1956 that happened impromptu. Quartet refers to the group of legendary musicians Elvis Presley, Carl Perkins, Jerry Lee Lewis and Johnny Cash. This jam session was the combination of 17 tracks and later got more added to it. The session was completely unplanned and involves song gospels and songs that these artists grew up singing. Country music was also a big part of this jam session’s tracks. Right at this very moment, this miniseries is under production in a Memphis area. The director now has the need for few paid background extras. A new scene that has yet to be shot requires actors with storing singing abilities and a musical background to act as the background actors. The interested candidates must be locals of Memphis, Tennessee. Since the filming will happen shortly, Million Dollar Quartet is accepting submissions for actors who fulfill the following requirements and are willing to play the roles. Actors must remember that an in audition is necessary to apply for the role and to be accepted for it. The applicants must clear their schedule and be present for the wardrobe fitting, either on Thursday or on Wednesday. Must be a resident of Memphis area. Interested people are encouraged to bring more people with them and to spread the word around. Full availability is required on the work day due to absence and lacking of call times. Applicants are required to have an open and flexible schedule. If there would be trouble in committing kindly do not apply or submit applications. The pay rate for the extras is $64.00 for 8 hours of work. Over time will be paid if the working time exceeds 8 hours. With the rate of $8 per hour. The payment for the extras will be distributed through the mail in the form of a check. The payments will be paid approximately 10 to 14 business days after the work day. No mileage or reimbursement shall be expected from the casting company. We will not be providing any living expenses or accommodations, therefore only locals living nearby must apply. The extras are required to work on Monday and Tuesday, 20th June and 21st June 2016. Restrictions: No visible tattoos or piercings visible. Interested candidates must Email with the subject line “Multi Day Extras”. Do not forget to mention the day and date that will be suitable to you. Mail must offer the complete information including the first name, last name, contact number, height, size, weight, age, and very recent photo. Avoid applying if you do not fit the requirements of the cast.